Nestled against bush-clad hills, YHA Greymouth is the perfect West Coast hostel for a laid back country/city experience. 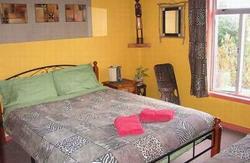 Twin, double and shared rooms, some with en-suite. We're proud of our professional team of local, knowledgeable & friendly staff. A chilled out atmosphere within a stone throw from the action will make this a stay to remember. The hostel started life in the 1930's as the Marist Brothers Residence. This ex-Catholic building was recently featured in the NZ Historic Places Trust Magazine. Most of the character has been retained. In the Chapel, the pews have been swapped for beds and a popular soccer table put in. The study room is now a comfortable lounge offering river and sea views. We offer a palette of West Coast experiences. Take part in some of the most challenging white water rafting, caving, fly-fishing, quad biking and backcountry tramping. 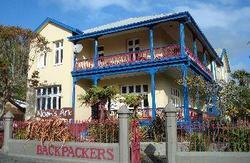 Greymouth is the perfect base to visit the Pancake Rocks, the historic Shantytown or Monteith's Brewery. Fossick for jade (pounamu) on the beach and catch a glimpse of Mt Cook. ARRIVALS AFTER 7:30 PM: please call the hostel's reception on that afternoon to obtain the late night entry code. Bus/Shuttle: All drop at hostel except Intercity (train station). Car: SH6/Tainui, turn into Chapel Street at McDonalds. Memberships can be purchased online or at the hostel. Visit our website to learn about membership and the ways you can experience local communities and the environment through YHA NZ.